Tone of voice is extremely important when it comes to creating your brand and your social media marketing strategy. Each time you post on any social media platform or advertise your brand in any way, you are showing the world your brand’s voice. This is why authenticity and consistency are very important, especially if you want to stand out from the crowd and have a strong brand voice that’s recognizable and unique. How can you establish a strong brand voice you may wonder? Easy. Simply follow our tone of voice guidelines and learn how to find a consistent voice for your social media marketing and promote your brand in the best possible way, so, let’s get started. Before going deep into the main points of how to establish and maintain the tone of voice of your brand on social media, you first need to understand what tone of voice exactly is and why it is important. While how a brand “looks” it’s very important, regarding its visuals, design, logo etc., in order to attract the right audience, the way it “sounds” is equally, if not more, important. The way in which a brand sounds like is its tone of voice, so not what it says, but rather how it’s saying it. Even though this refers to the written word more than the spoken one, if your main social media platform is YouTube, for example, your tone of voice reflects the way in which you are talking and saying things in the videos. Basically, the tone of voice that you use represents your brand’s personality as well as its values. The clearer the tone of voice, the clearer the personality and the values of your brand, it’s that simple. But why does tone of voice matter, you might ask yourself? Here are a couple of reasons. Just as a person has the capability to make a first impression after saying a few sentences, a company has this ability as well, especially with the written word on social media. How a company introduces and promotes itself is crucial when it comes to expressing their personality and core values, and this is where tone of voice comes into play. Let’s take a hippy fashion brand as an example. If they sound too formal, flat, or boring, they would have a hard time acquiring the right audience, or any audience for that matter, since they don’t express the values that kind of brand should have, or the values their target audience has. On the other hand, if they are friendly, quirky, fun, and playful with the content they produce, they would attract an audience who appreciates these values, since the brand’s personality is shown through the brand’s voice. On that account, the tone of voice highlights, expresses, and embodies your brand’s core values. Richard Branson, the famous entrepreneur and business magnate, has said that one of the most important things when it comes to any brand is their culture, or in other words, the set of values expressed through the tone of voice they use that sets that culture. Therefore, your values are reflected into everything you say and the way you’re saying it, giving tone of voice a huge importance when it comes to building and promoting a brand. In the capitalistic world of today brands have an immense amount of competitors everywhere they turn. This is why most brands are trying really hard to stand out from the crowd and be as unique and as recognizable as possible. One important thing that can set you apart from the competition is, you’ve guessed it, your brand’s tone of voice. Think about it. There are a plethora of news sites that you can choose from on the internet, but you mostly keep going back to one or a couple of them. Why choose that one and not some other? Most probably because you like the way in which they deliver the news, you like the way in which the content is written, the way in which the content sounds when you read it, and/or the way it makes you feel after reading it. The tone of voice this particular news site uses is what sets them apart from their countless competitors and is the major reason why their audience keeps coming back to them. It’s the same with your brand. If you create an authentic tone of voice that makes your brand distinguishable from the competition, the audience you’ll acquire will keep coming back for more instead of looking at what the competition has to offer. The kind of brand you are as well as the relationship you want to have with your audience is also expressed through the tone of voice that you’re using. Robot-like companies that have automatic responses and don’t pay attention to their tone of voice usually don’t do that well on the market as opposed to companies that know what their voice is, how to use it, and do it consistently. It’s important to understand that the personality your brand has, which shows through the tone of voice you use, humanizes your brand and makes it more approachable and relatable since it shows who the people behind the brand are. People trust people, not brands and businesses, so the more you humanize your brand, the more successful your business will be. A strong and recognizable tone of voice attracts the right audience, turns consumers into customers, and increases sales. So far so good, but how can you establish that strong tone of voice that will separate your brand from the competition and help your business soar? We’ll show you in this guide, so if you’re interested in the how-tos, read on. When trying to build a brand, many business owners and marketers focus primarily on the visuals. This includes the website’s design, the logos, the photos, the color palette, and so on. This being said, there is one huge aspect many are forgetting when it comes to building a strong and successful brand, and that’s the communication that brand has with its audience. In order to establish a good communication brands need a defined and consistent tone of voice, and there’s no one that can better help them both find it and define it than their target audience. Just as a brand is created and shaped based on its target audience’s preferences (which includes their interests, likes, and dislikes), the same goes when creating the brand’s tone of voice. In order to create and/or shape your brand’s tone of voice, it’s of utmost importance that you get to know your target audience really well. So well, in fact, that the only people you should know better should be your closest friends and family. People are judged instantly based on the way in which they communicate, and the same goes for brands. What’s more, consumers oftentimes remember brands by the way in which the brand “spoke” rather than its logo or visuals. This is so due to the fact that brands speak directly to them, their target audiences, which are also the customers they need. So, once we established the target audience’s importance, where should you start? One way in which you can discover your target audience would be through analytics. For this you’ll need external tools like Amplifr, or internal tools like Google Analytics or the one Facebook provides. The data these tools provide will inform you about the demographic factors of your audience like their age, gender, geographic location, marital status, and so on. While demographic factors are important, defining your target audience is basically not complete without psychographic factors as well. Psychographic factors, in fact, are even more important than the demographic ones since apart from knowing who your audience is, it’s also important to know why your audience is interested in your brand. If you know your audience’s interests, lifestyles, habits, the other stuff they usually buy and use, and so on, you’ll be able to select your target audience more precisely and have a richer and more complete profile. Interview them via e-mail, Skype, or a phone call. This way you could directly ask them anything you want and with this personal approach acquire more in-depth information. Send surveys. This will help you to acquire the same information only from larger groups of people with different demographics. Use data from analytics. As we already mentioned, tools like Amplifr offer information when it comes to the likes, clicks, shares, and comments on your social media, so you can better figure out what your audience is mostly interested in, which posts they spend most of their time on, and more. Now that you have both the demographics and psychographics of your audience, it’s time to create your perfect buyer persona. This generalized character, or persona, should encompass the key traits and characteristics your target audience has. If your audience is consisted of a couple of smaller audiences, then it would be a good idea to create a couple of buying personas that will represent those audiences. The most important information to include when creating your persona is their demographics (age, gender, nationality, etc. ), job title, hobbies and interests, goals and challenges, and values and fears. Now that you have your buyer persona (or your buyer personas), or in other words your perfect customer, you’ll be able to better and much easier define your brand’s tone of voice. Simply imagine that your brand is an actual person. How would they interact with your buyer persona? What kind of tone would they use? What’s their attitude when talking to the buyer persona? These questions will help you to better visualize who you are talking to, therefore give you a perfect start and help you to better define your brand’s voice. We defined tone of voice as a representation of your brand’s personality and values, saying that the clearer the tone of voice, the clearer the values. This is why reexamining and identifying your brand’s values is of utmost importance if you want to create a clear tone of voice for it. Honesty is extremely important when it comes to creating your company’s or brand’s values, since after implementing them you have to practice what you preach. Therefore, don’t incorporate the values you wish your company had, but those that your company already has or has the potential to have in the near future. Consistency is key, so in order to discover and reexamine your brand’s values, you can bring in the closest people from your team or the whole company and make it a collaborative process. What do you wish to tell the world? How would you want your audience to perceive you? Brainstorm with your colleagues or employees for more questions, and answer each one together and in-depth. These answers will be the tools that will help you to define your brand’s core values, which in turn will help you to define your brand’s voice. Both the answers and the adjectives you come up with will point you in the right direction when it comes to creating your brand’s tone of voice. But don’t stop there! Apart from adjectives you can also use verbs, nouns, whole phrases even to describe your brand. Make sure to write down everything that you come up with so you have every word visually represented in front of you. After defining your buyer persona and brand values, it’s time to decide on the language and vocabulary for consistency’s sake. After all, once you know what to say, you need to figure out how to say it, right? Let’s start with the basics, which is the formality of your voice. Again, imagine that your brand was a person and it’s talking to your buyer persona. How would the conversation flow? What kind of words would you use? Would you be overly polite, authoritative, and professional or would you be more personal, approachable, and conversational? Don’t be afraid to choose either formal or informal since you would then decide on the degree of formality or informality that you’ll use. It’s important that you’re aware of the fact that formal doesn’t necessarily have to mean boring and stiff, just as informal doesn’t have to mean unprofessional with disregard to grammar. Remember, you choose your brand’s tone of voice, so it will be how you make it, we’re only here to help you and guide your way. Then comes the technical language. The need to use technical terms depends on what your business is, but it’s good to be aware of studies which show that consumers prefer simple, everyday language. This doesn’t mean that you shouldn’t use technical terms if there’s need to do so, especially if the words are understood by the majority of your audience, but to change the difficult-to-understand terms with those that your audience will understand. Our tip is that you read aloud everything you write before posting and imagine that you’re reading that content to your buyer persona. Will the buyer persona clearly understand your message? If the answer is yes, then your job is done. Next, we have colloquialisms, slang, and swearing. The knowledge you have about your target audience (s) and your buyer persona (s) will come in handy since it’s up to them whether or not you should use colloquialisms and slang, and how much. Swearing also depends on who your target audience is, although it’s not really recommended for a professional business. However, the minor swear words like ‘damn’ and ‘hell’ can be attention-grabbing and connect your brand more to your audience, so have your target audience in mind before deciding on these things. Even though creating your buyer persona, reexamining your brand’s values, and paying attention to language and vocabulary are extremely important things when it comes to finding your brand’s tone of voice, there are other things to consider if you want to make it unique and your own. When presenting certain information about your brand, one of the most successful and engaging ways in which you can do that is through a story. Why, you may wonder? Well, think about it, would you rather read a bunch of facts bundled up together in a piece of text, or a nicely structured story that has a beginning, middle, and an end? Of course, you would choose the latter, which is why a good storytelling is an important part of any brand’s marketing, especially when establishing your tone of voice. Firstly, pay attention to the structure. This is a good time to use the traditional storytelling model that works for any kind of post that tells a story, whether a Facebook status or a description of how your company came into being. This storytelling model is known as the Freytag’s pyramid where you have the outline of how a story should move. In fact, if you analyze stories of any kind you’ll notice that this model can be applied to most of them since, after all, its creator is a novelist and a critic himself. The basics are that a story has five components: exposition, rising action, climax, falling action, and a resolution. Simply follow these steps and you’ll have a coherent and a nicely structured story that most readers will be compelled to fully read. Secondly, make your stories interesting to your customers. Since we already established that you need to know your target audience before creating your brand’s tone of voice, you know their interests, likes, and dislikes, you know what kind of posts they like and share the most, and you know the personality of your ideal customer. Utilize this knowledge when creating your stories so that you can connect with them more while at the same time being entertaining and engaging. The stories should be memorable, evoke some emotion, and above all, be about one person or a tiny group of people. Lastly, make your customers the focus of the story. You can use your ideal customer as the main character and explain how your brand/product/service can improve your audience’s lives and help them in some way. Your stories should be relatable, since, after all, it’s all about the customers and your followers. There are different places where you can tell stories, like the “About me” section on your social media profiles, while describing a new product or service, through photos on your Instagram profile, and so on. Remember, stories can be told by using words, images, or video, so utilize all these different formats in order to establish your tone of voice, enrich your social media platforms, and connect with your audience. One example would be describing how your company came into being in the “About us” section which is one of the perfect places for storytelling. When a potential customer encounters your brand for the first time, that person would most likely read this section first in order to see what your brand is all about. This is why your story should not only be entertaining, but also showcase your brand’s tone of voice, explain your brand’s vision for the future, and express what makes your brand unique and different from the competition. This way you’ll attract the right audience and present your brand’s personality and values straight away, hopefully, causing that person to like your page and follow your brand on social media. Authenticity and consistency are crucial when it comes to maintaining your brand’s tone of voice. Let’s begin with the former. Even though you are a marketer and/or a business owner, you are also a customer who follows different brands and buys products or uses other companies’ services. Think about what makes you follow those exact brands on social media and use their products or services. Of course, the quality of the product/service must be one of those things, but the reason why you keep coming back to certain brands is their established authenticity. Robotic brands that don’t have an established tone of voice are a thing of the past, since nowadays everyone are looking for something different, unique, or in other words, authentic. The more you humanize your brand, the better its authenticity. It’s all about being relatable, relevant, and accessible, and there’s no better way to showcase this than through your brand’s tone of voice. As we previously mentioned, the tone of voice itself humanizes the brand and builds trust with your audience since it shows who the people behind the brand are. However, showing honesty and openness through that tone of voice would additionally humanize your brand and if you want to reach this, your brand would need to act more like a human and less like a business. This will pave the way towards a more genuine connection between your brand and your audience since they’ll more likely relate to an authentic brand voice rather than a robot-like voice. It all depends on the kind of products/services that your company offers, but essentially, your brand should step away from the formal, business-like voice since this doesn’t scream authenticity and will keep most of your audience at a distance. On the other hand, don’t act too cool and don’t try too hard since this can also come out as inauthentic, so the best advice would be to imagine that you are the brand you’re representing, and simply be yourself. When it comes to consistency, having a consistent tone of voice may be more important than having an authentic one since even if your brand has an authentic voice, if it’s not consistent, it wouldn’t be authentic any more. Your audience should recognize your brand by the way it communicates even if your logo or website were out of the picture, which is where consistency comes into play. Let’s compare your brand to a person and its tone of voice to that person’s personality, since, after all, your brand’s tone of voice IS its personality. According to this, your brand’s inconsistent tone of voice would equal to that person’s inconsistent personality. Inconsistent outward behaviors are symptoms of borderline personality disorder, a mental illness resulting in inconsistent moods and emotional swings, so if your brand has an inconsistent voice it would be very difficult to connect with it and establish a genuine relationship since you’d never know what to expect next. Consistency will make sure that your audience remembers your brand which is why it’s something that you should really pay attention to. According to this, if you want to stay on-brand and on message at all times, having a consistent tone of voice is essential. Consistent tone of voice makes your brand more familiar to your audience and customers, and in turn, they are more likely to stay loyal to your brand since familiarity will make them feel more relaxed and comforting at the same time. Knowing what to expect both from people and brands brings us closer together, which is one of the reasons why you should always have in mind the consistency of your tone of voice. The last tip for perfecting and maintaining your brand’s tone of voice would be to have your buyer persona in mind at all times. Why is the buyer persona so important? As we said, the buyer persona represents your target audience’s preferences, or their interests, likes, and dislikes. Since your brand represents one voice speaking to a large audience, it’s always beneficial to convert that target audience into one or a couple of buyer personas and speak to them individually. By speaking to each buyer persona individually you are essentially speaking to the entirety of your audience in a way they want to be spoken to, which will make your followers and customers more connected to your brand. We mentioned that people as well as brands are instantly judged by the way in which they communicate, so speak directly to your buyer persona (s) and that way you won’t ever have to worry about being misunderstood. Imagining your brand as a person and speaking directly to the buyer persona (s) will help you to better visualize who you are talking to and in return always convey the right message and attitude. If you are not a solopreneur but rather have at least a couple of employees in your company, you’ll need to create a tone of voice guide for the sake of consistency. A tone of voice guide will also help you to deliver your message to your followers and customers in such a way that it’ll characterize your brand and show its personality, values, and authenticity. A tone of voice guide serves as a tool that your employees would use in order to get across your brand’s message in a clear and consistent way, whether on your social media platforms, blogs, videos, when communicating with customers, and so on. Therefore, let’s see the steps required so you can create your tone of voice guidelines and present them to your coworkers. How to perfect it and maintain it. Now we come to the easy part which is maintaining it for the long term and introducing it to your employees. For this to happen, you’ll need to write down your set of rules and guidelines so they can be accessible to anyone at any time. Firstly, remember to write your tone of voice guide in your brand’s tone of voice. This will serve as an example and it will give your employees and idea of how to implement theory into practice. Examples in different contexts (how would a Twitter post sound like, or a blog post, Facebook post, direct message, and so on.). Give one copy to each of your employees and put one where everyone could see it. This way your guide will be easily accessible to the whole team, especially your content writers and social media managers who’d most likely use it on a daily basis. Explain the guide’s purpose to your employees. Make sure to let everyone know that the intention behind creating this guide is first and foremost consistency. It’s important that no matter who posts on your company’s blog, social media, or interacts with the customers, they need to adapt the tone of voice according to the guidelines you’ve provided them. When representing the brand, whether in written or verbal form, they need to adapt the brand’s personality which is why genuinely understanding the tone of voice guide is really important. When beginning to implement your newly created tone of voice guidelines, not everyone on your team will follow the guidelines correctly since using a different tone of voice and getting into the personality of your brand takes time and practice. Therefore, it might be a good idea to appoint someone who’ll go through and edit all posts before publishing to make sure that the correct tone of voice is implemented everywhere. Remember, voice is something that should always be consistent no matter the situation since it expresses your brand’s personality and values. On the other hand, the tone could vary depending on the situation since, after all, a Tweet cannot have the same tone as a letter of apology, right? This is why appointing an editor when you begin to implement your brand’s tone of voice is very important. There are many brands out there that are instantly recognizable just by their tone of voice, whether expressed in a textual or visual form. Check out the following five examples in order to draw inspiration and see what a successfully implemented tone of voice looks like. Coca-Cola’s brand is one of my favorite examples when it comes to tone of voice, simply because they implement and maintain it in a genius yet simple way. Coca-Cola is all about happiness. This iconic brand’s tone of voice can be described as down-to-earth, positive, and friendly, and for the last 130 years it has stayed the same. Of course, they do different marketing campaigns every year, with billboards and advertisements that include families getting together to have dinner (and a Coke, of course), polar bears enjoying Coca-Colas, friends dancing and smiling while drinking this well-known drink, and so on. This being said, it’s very important to note that despite the different commercials and marketing campaigns, they have one thing in common – consistent tone of voice whose purpose is to evoke happiness. Happy family life makes us happy, cute polar bears drinking Cokes make us happy, smiling people dancing on the beach make us happy…simply see any of their billboards and you’ll know what we’re talking about. They are always showing us concepts of what a happy life should look like, and of course, all include this iconic drink. This is the genius of Coca-Cola, connecting positive feelings with their drink all because of their perfectly-constructed tone of voice. Just like Coca-Cola has established itself as the world’s most iconic drink, in the same way Harley Davidson has established itself as the world’s most iconic motorcycle, and no wonder! Both brands have a unique and consistent tone of voice through which they show their personality and in that way acquire their target audiences. In order to show you how much tone of voice is truly important for a brand’s success, just take a look at this brand. In the beginning the company was not that successful, not because the competition, but actually because they were still without a strong brand identity. Once they fixed this and found their voice, the brand became what it is today. Harley Davidson’s brand personality would be best described as rugged yet reliable, rebellious, and masculine. It is a freedom-seeking brand that appeals mostly to middle-aged, American men since through the brand they are looking for freedom from the everyday stressed life. The brand is also very patriotic since they incorporate the American flag and values in many of their marketing campaigns. Everything about their marketing evokes confidence, freedom, patriotism, and masculinity, from their headers like: “Dare to be bold”, “All for freedom. Freedom for all”, “The great American freedom machine”, to their website design with dark colors and bold style. The Harley Davidson brand image is so powerful, not because of their website design or logo, but mostly because of how they use their unique tone of voice. They appeal to their target audience for the past 130 years with great success, only because they’ve found their authenticity and use their voice with consistency, so this brand is a great example for that. This is another great example of a brand successfully using their unique tone of voice. If Coca-Cola was all about happiness, friendships, and family values, Harley Davidson about freedom, confidence, and masculinity, MailChimp is all about being comical and really creative. This email marketing service provider has found its own brand voice which is above all humorous and friendly, and then informal, straightforward, and positive. They have created a brand whose purpose besides helping you with emails is to make you laugh, whether through their Instagram photos, Facebook posts, or blogs. MailChimp is all about being fun and quirky and they are not afraid to show it! One more amazing thing that they’ve done is creating a tone of voice guide for their current and future employees, as well as for guest post writers. In the guide they explain how their voice never changes, but their tone does depending on the situation. Besides the essentials, they also explain how writing blog posts should look and sound like, as well as technical content, legal content, email newsletters, writing for social media, writing for accessibility, and so on. Also, they have a word list which includes words that are oftentimes written in different ways, and words they avoid in their content. 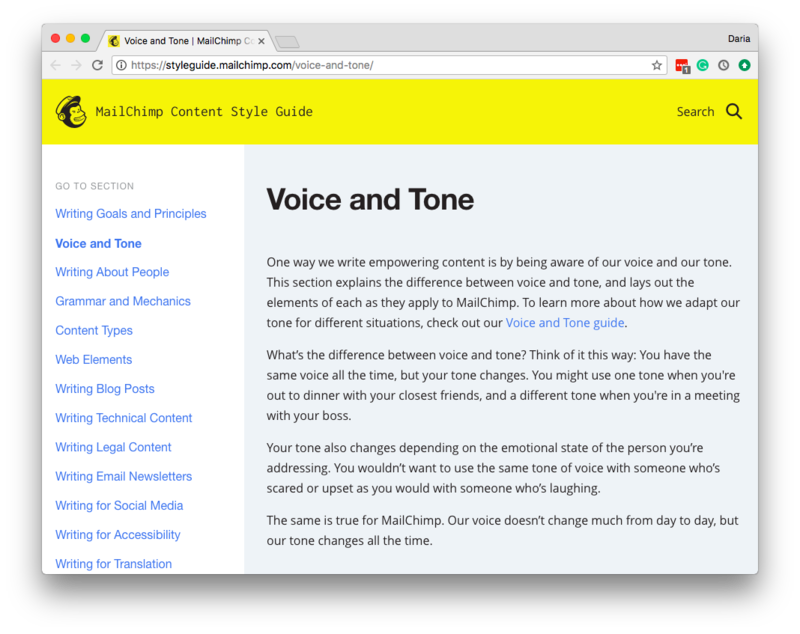 All in all, MailChimp’s success comes from their consistent usage of their one-of-a-kind tone of voice, recognizable everywhere. This is another brand that uses humor religiously, but in a slightly different way and has an inspiring story that involves rebranding and completely changing their tone of voice. The Old Spice brand first appeared on the market almost 90 years ago. This means that probably your father and/or grandfather used it. 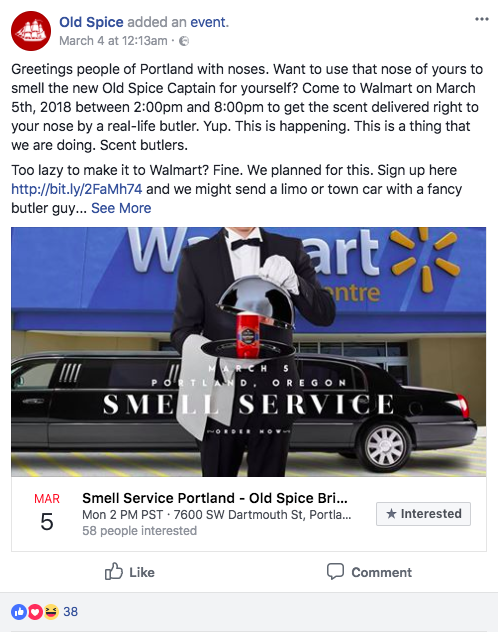 Being an older brand, at the beginning of 2000s Old Spice was associated with how old people smell which didn’t do any good for the company. They knew they needed to change something in order to appeal to the younger population, and that’s exactly what they did – total rebranding except for their name which included, of course, changing the tone of voice as well. Their first newly-formed campaign in 2010 included the well-known slogan “Smell like a man, man” and the famous face of Isaiah Mustafa which represented the young, confident, and handsome man. This sudden marketing shift proved to be a great success and Old Spice doubled their sales that same year. In order to appeal to the younger audience, they began using lots of humor, not only in their advertisements but also on their social media accounts, which also proved successful. They continue to have the same values and consistently use the same tone of voice today, which is why they are still one of the top brands when it comes to male grooming products. 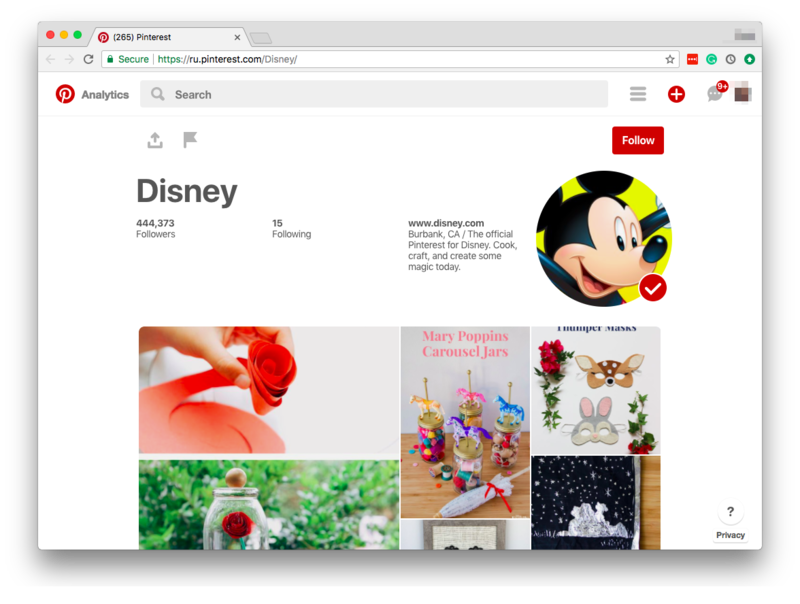 Disney is one of the most recognizable brands in the world, and no wonder! It’s even older than Old Spice, the difference being that Disney ueses the same tone of voice from the very beginning, which is one of the reasons for their immense success. Their strong brand identity comes from, you’ve guessed it, their authentic and consistent tone of voice. Every time we hear the word Disney we think about a magical place where dreams come true. With their own vocabulary, values, and tone, Disney has established itself as a company whose products, whether those are toys, movies, or their themed-parks, will always put a smile on your face and fill you with happiness. Their optimism and storytelling put people in a different mindset, in a magical land where anything is possible, where being happy and having fun is a constant feeling, even if you have to wait for hours in line while at Disneyland. Since there’s more and more competition when it comes to new businesses, creating and maintaining an authentic tone of voice is crucial if you want to set yourself apart from the crowd. Don’t be afraid to express your brand’s unique personality since uniqueness and authenticity will help your brand be stronger and more memorable. Take your time, create your guidelines, introduce them to your team, and give your brand the tone of voice it needs in order to flourish.